The new Ovalie 360 is here! 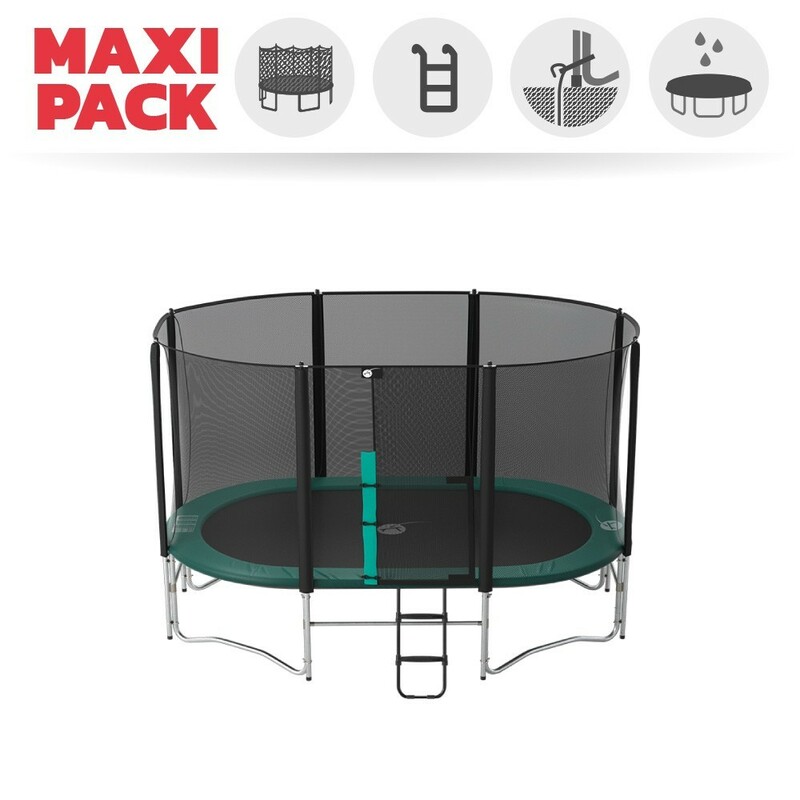 Unprecedented in this size, with its compact dimensions (365 x 182 cm), it will fit nicely in a medium sized garden, or in a long garden. 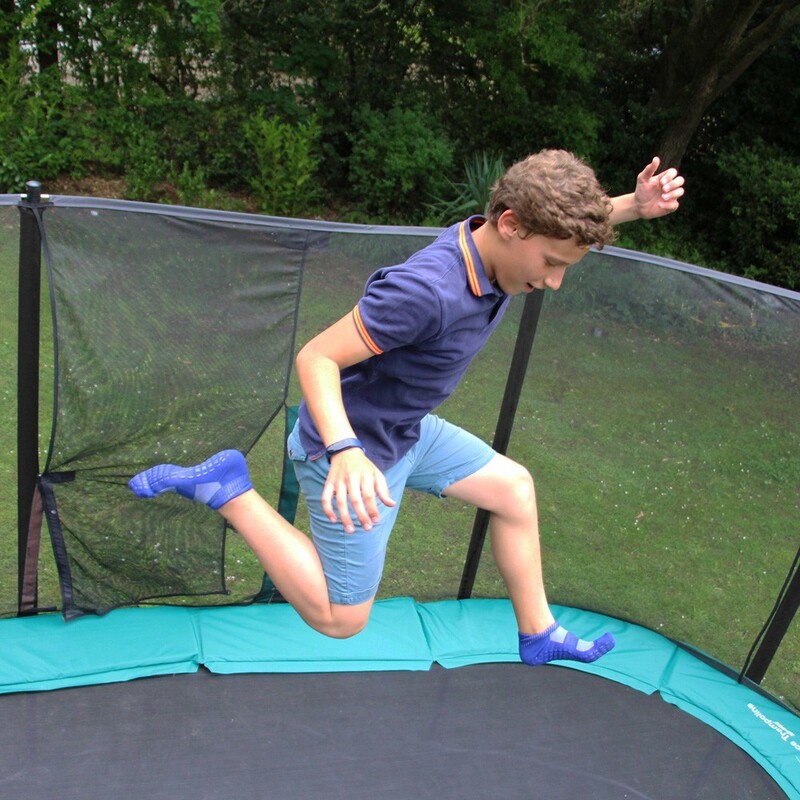 Its large playing area gives your children a big enough space to try new tricks and jumps. 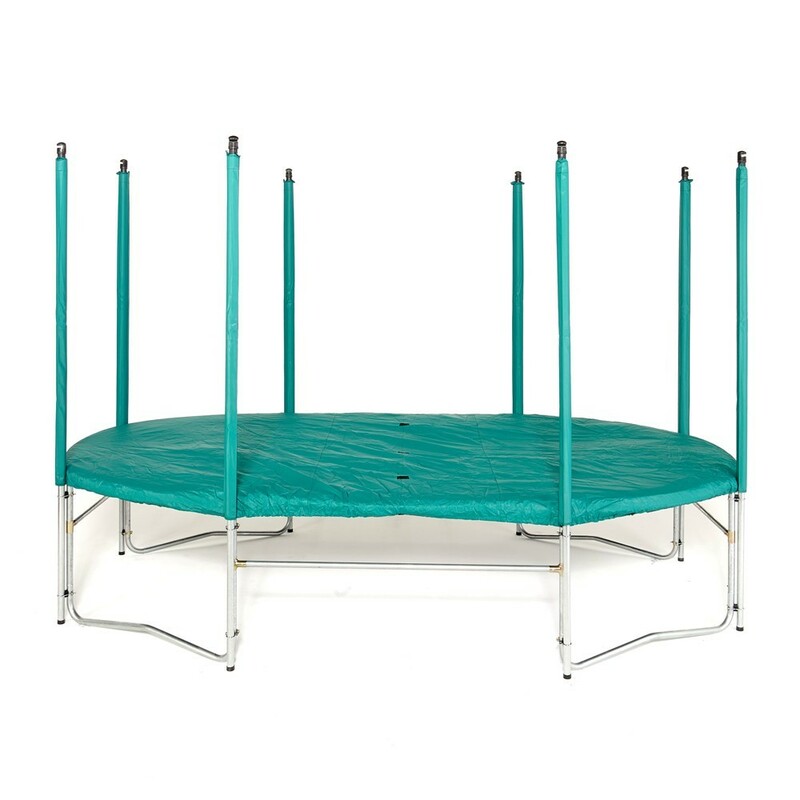 - A solid framework made from hot dip galvanised steel in order to protect from corrosion. 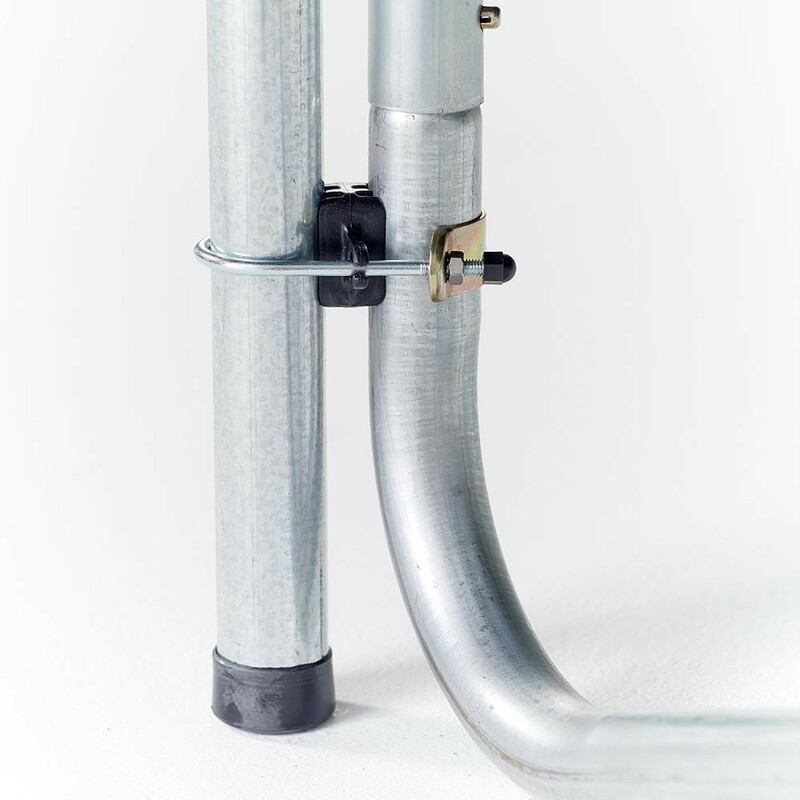 Providing a stable structure, the tubes are 42mm wide and 1.5mm thick are joined together by T junction components. 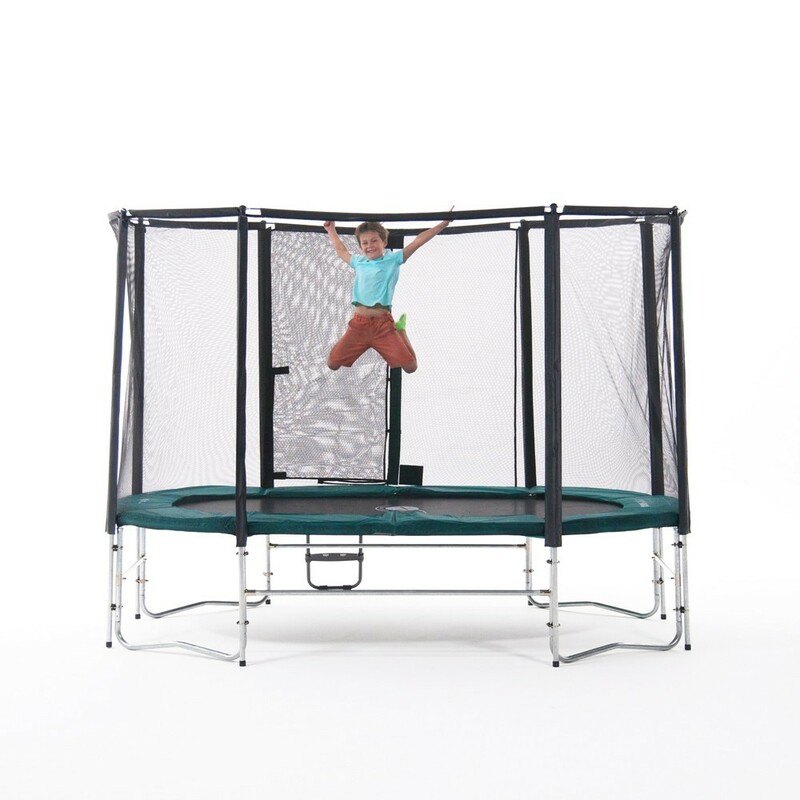 - Its 60 180mm springs along with its mesh jumping mat allow for energetic and dynamic jumps. 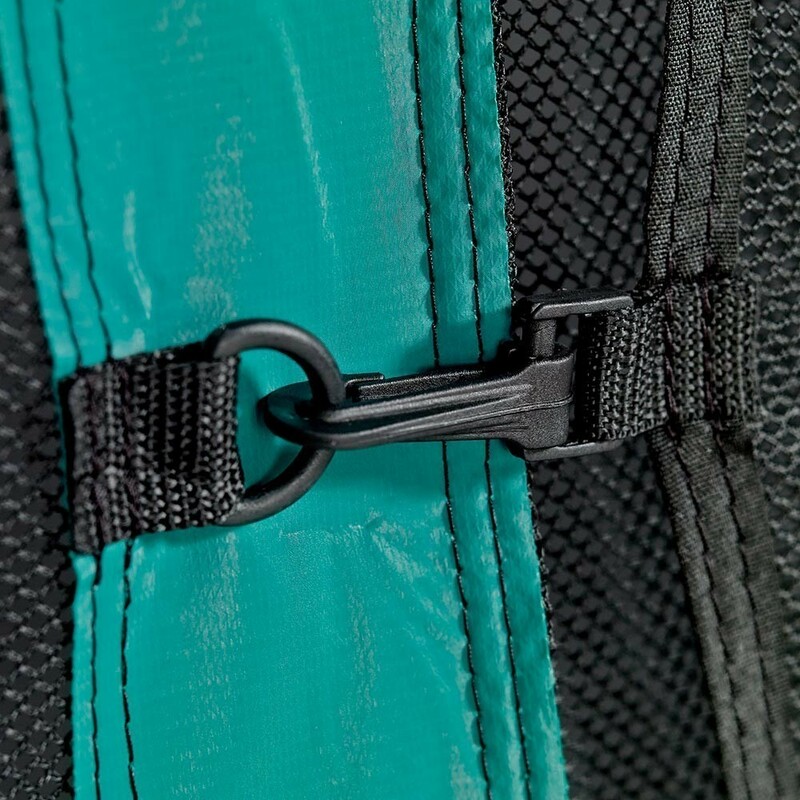 You will be able to link your tricks and perform all sorts of acrobatics thanks to the 8 rows of stitching that reinforces the edges. 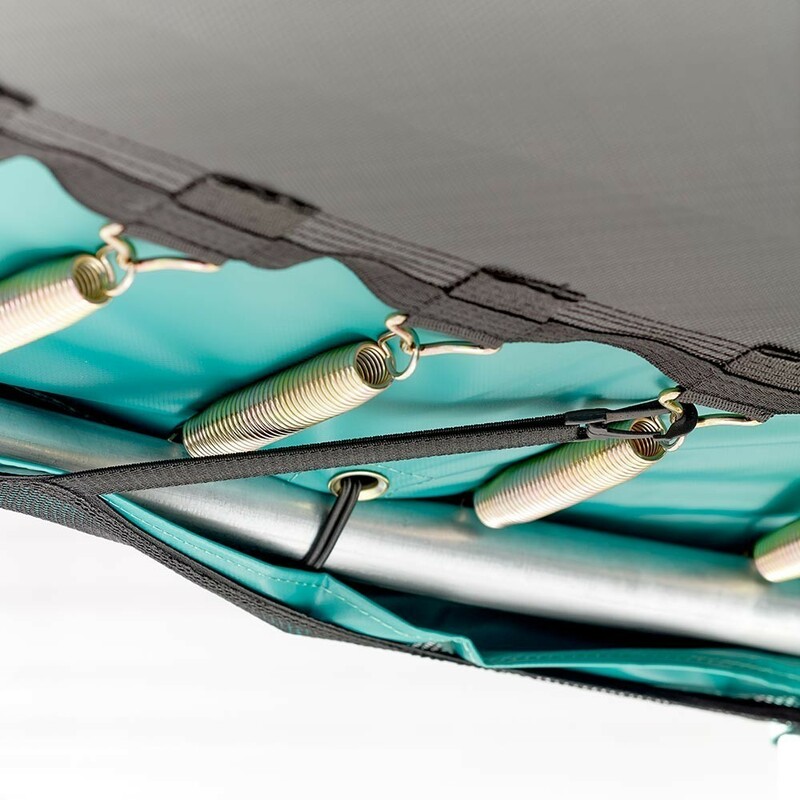 - A frame pad covers the whole spring area. 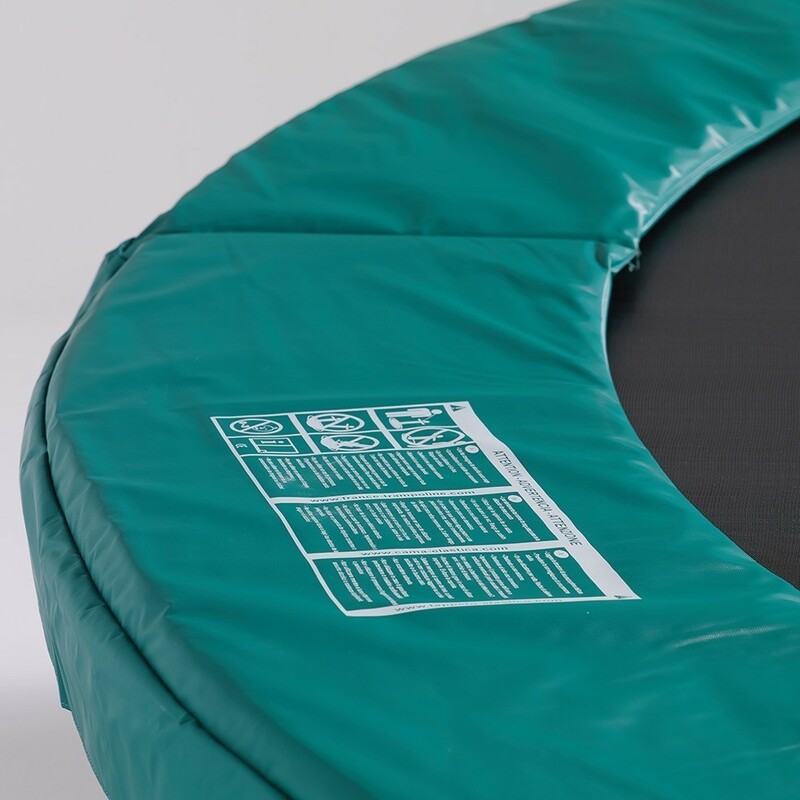 Its 36mm width combined with the 25mm thick EPE foam will prevent and soften any falls outside of the jumping mat. - Safety first! 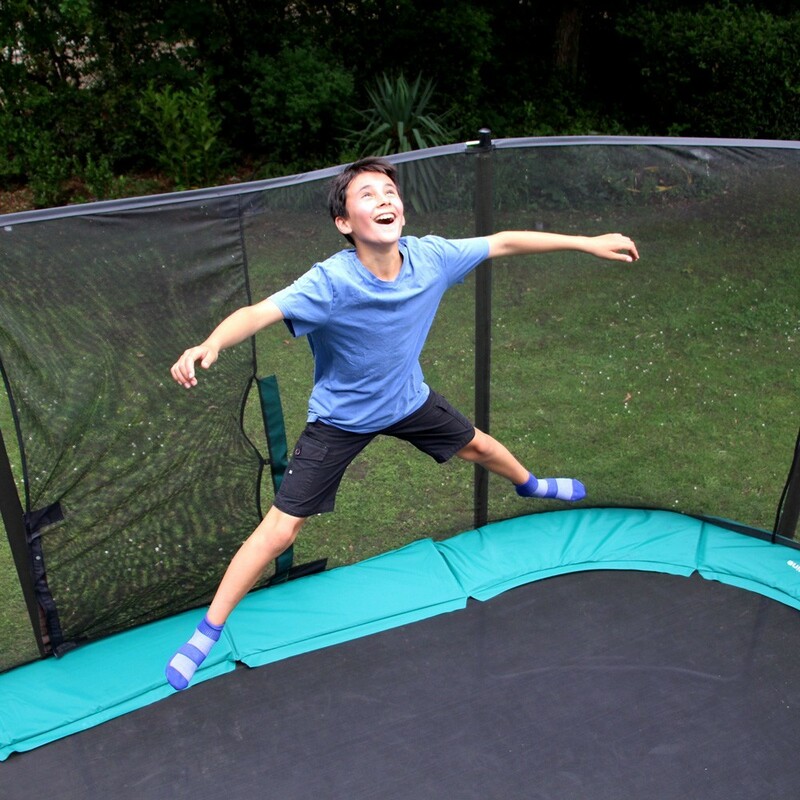 The premium safety enclosure will keep the jumper within the trampoline's limits. 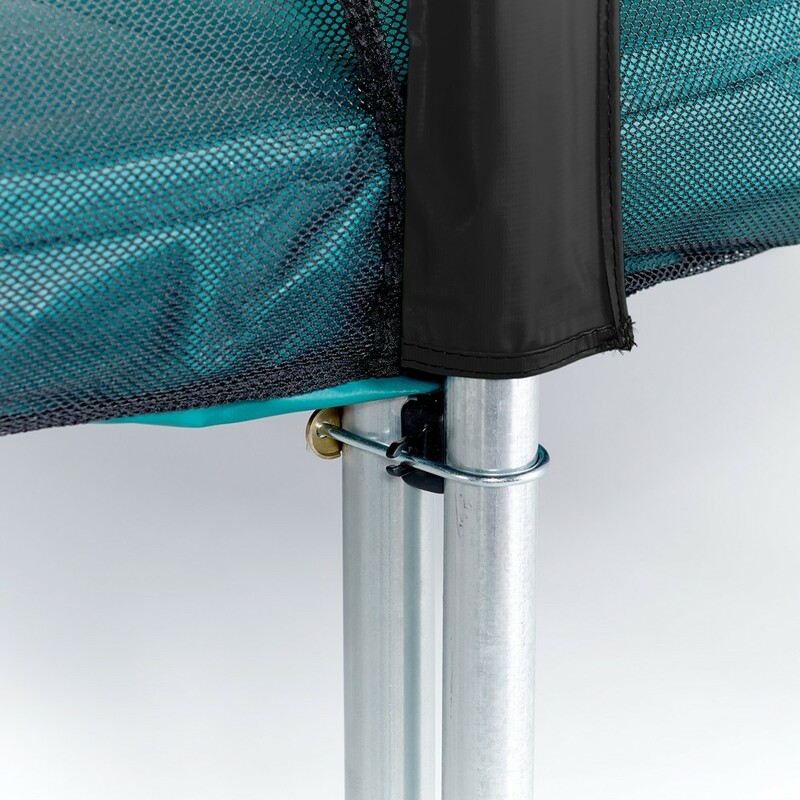 The Ovalie 360 has 8 posts, each 32mm wide, which stand on the ground to ensure optimal stability. 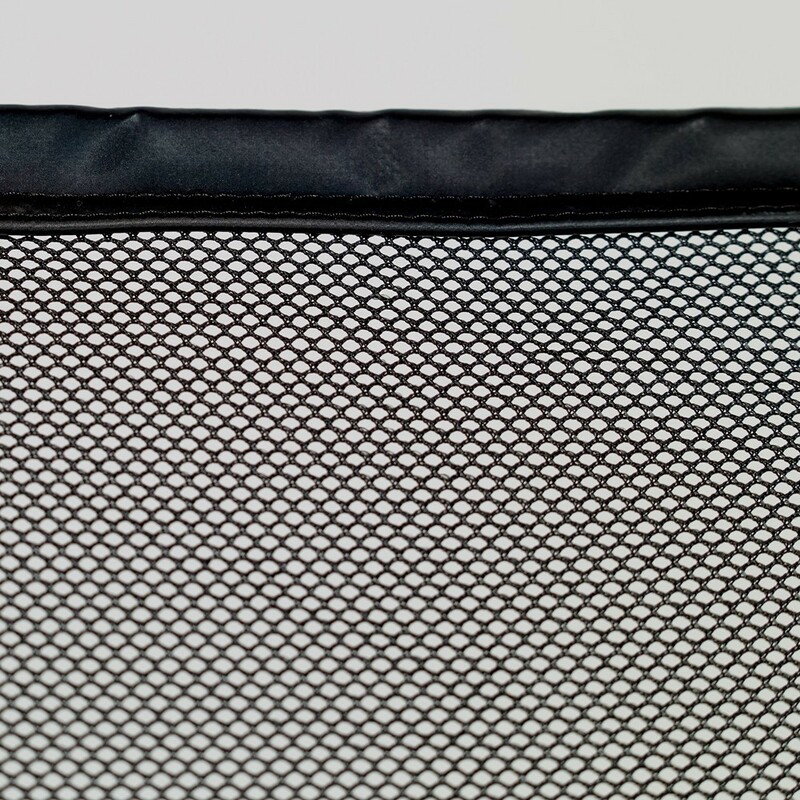 The security enclosure is made from 160g/m² polyester and maintained by fiberglass rods. 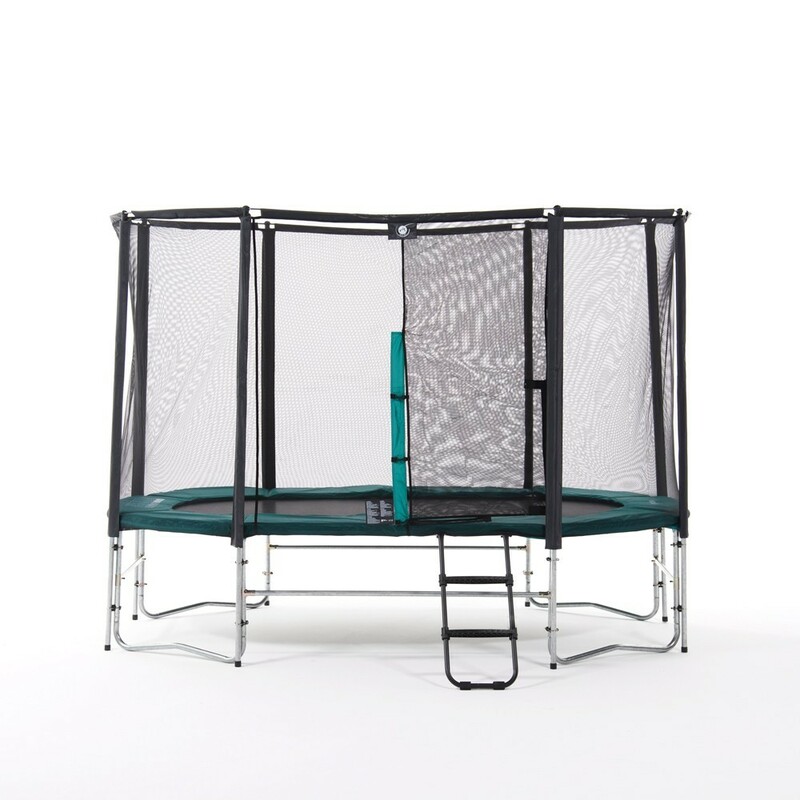 - Removable ladder secures the entrance and exit to the trampoline. 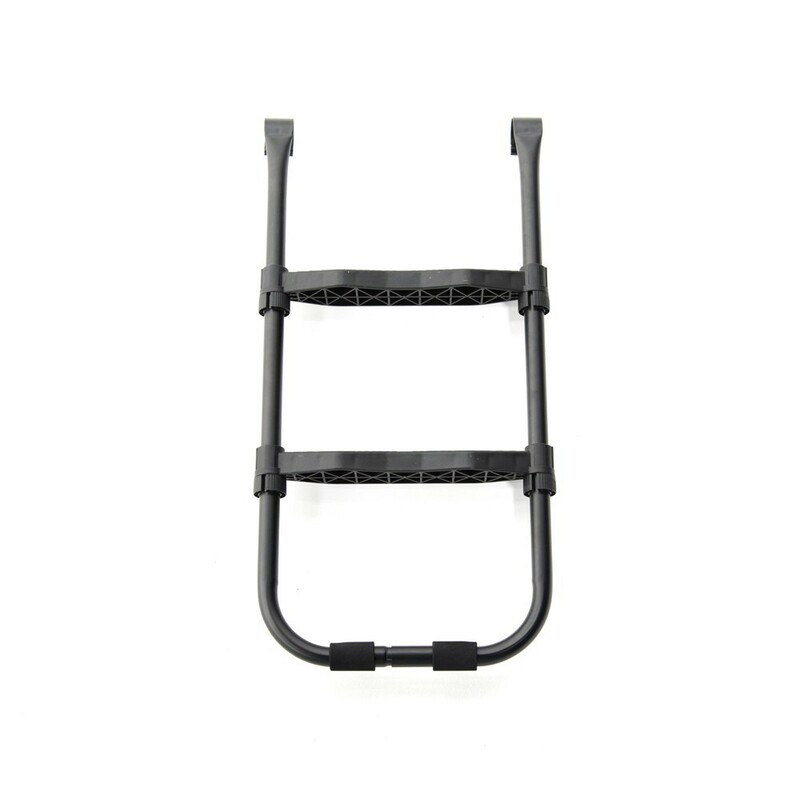 It has 2 large non-slip steps. 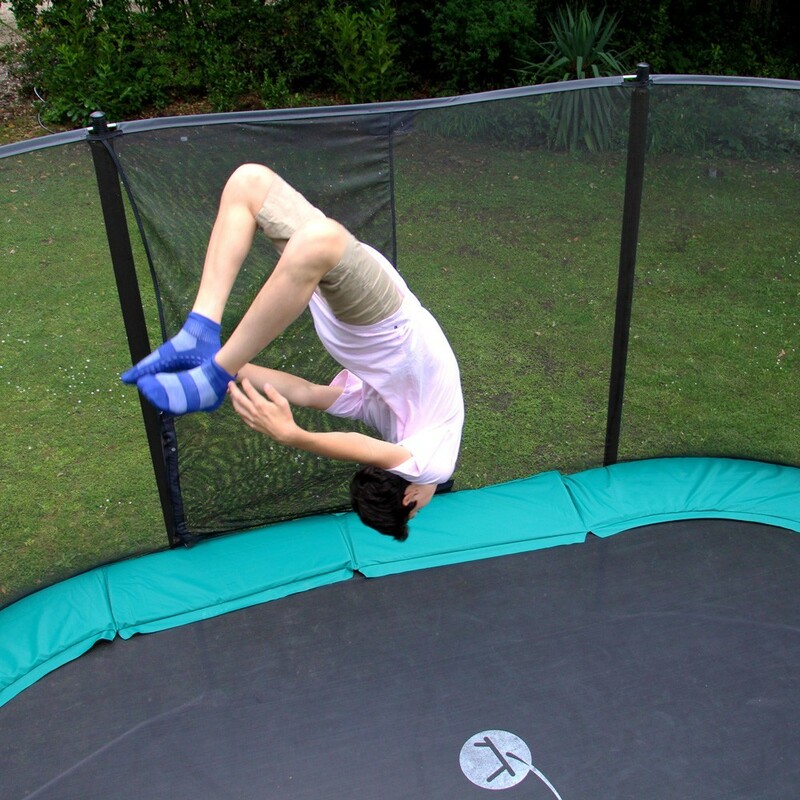 - The anchor kit allows you to secure your trampoline to the ground, essential in the event of strong winds. 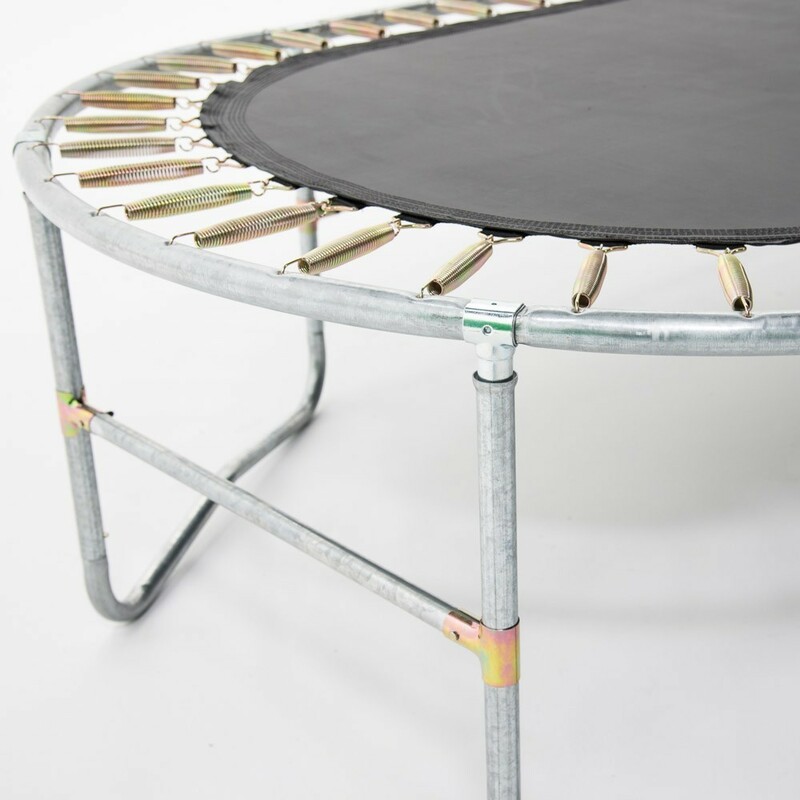 - Protect your trampoline with a premium cover, that will evacuate rainwater instead of letting it deform your jumping mat. Parfait juste la housse de protection impossible à mettre sans défaire le filet de protection. Peut être une autre méthode ? 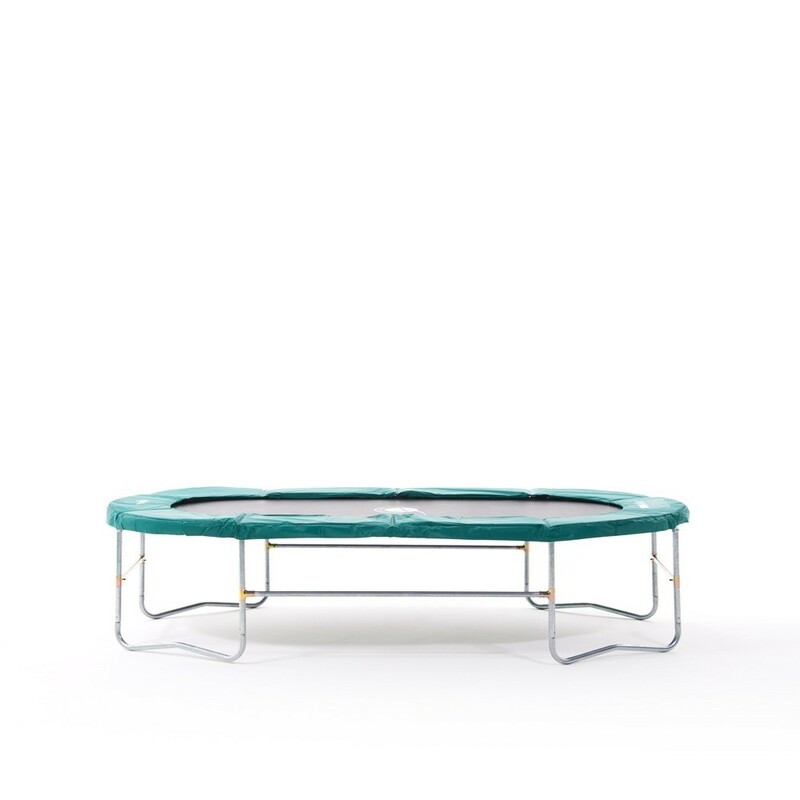 Trampoline qui respire la solidité. Visuellement très esthétique. On voit qu'il a été créé pour durer de longues années. 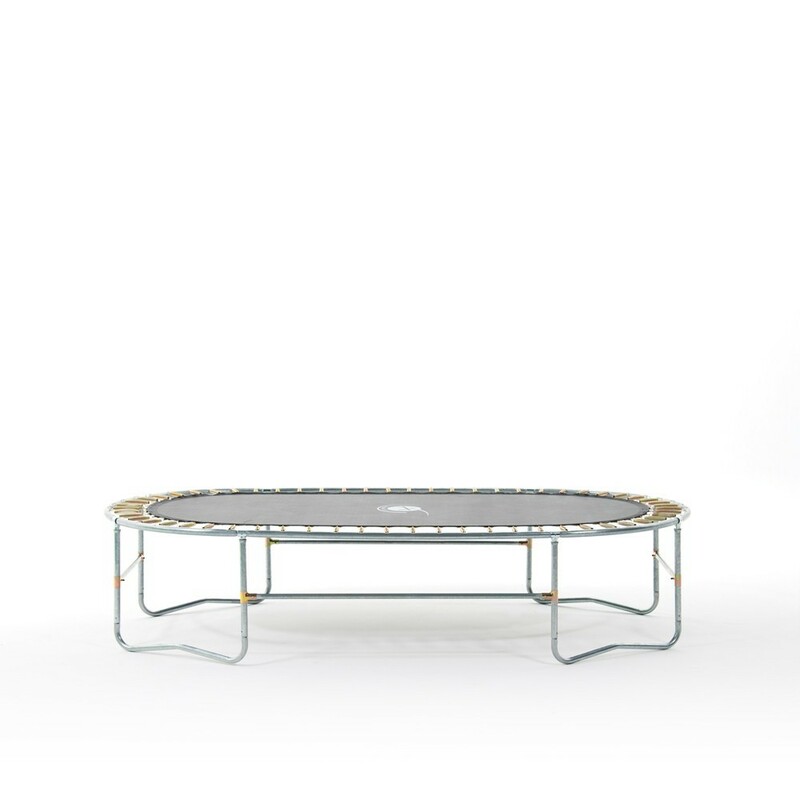 Je suis rassurée, je sais que mes enfants sont en sécurité sur ce trampoline. Très bon produit, compact qui s'intègre très bien dans notre petit jardin. 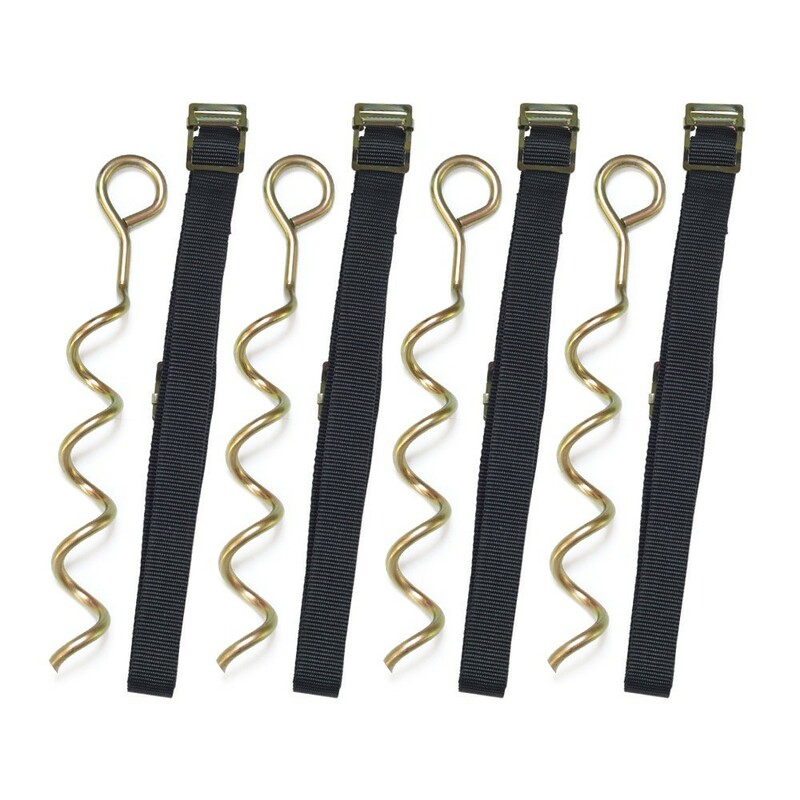 Seul bémol, son système de fermeture et d'ouverture un peu compliqué (surtout pour des enfants).